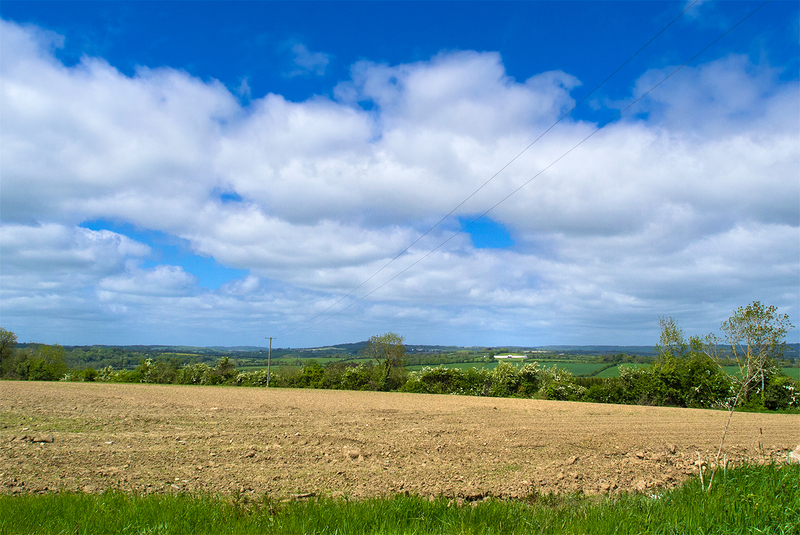 Brú na Bóinne means “the palace” or “the mansion” of the Boyne – the fertile Boyne River valley that has protected and provided for its inhabitants for the last 6 thousand years. 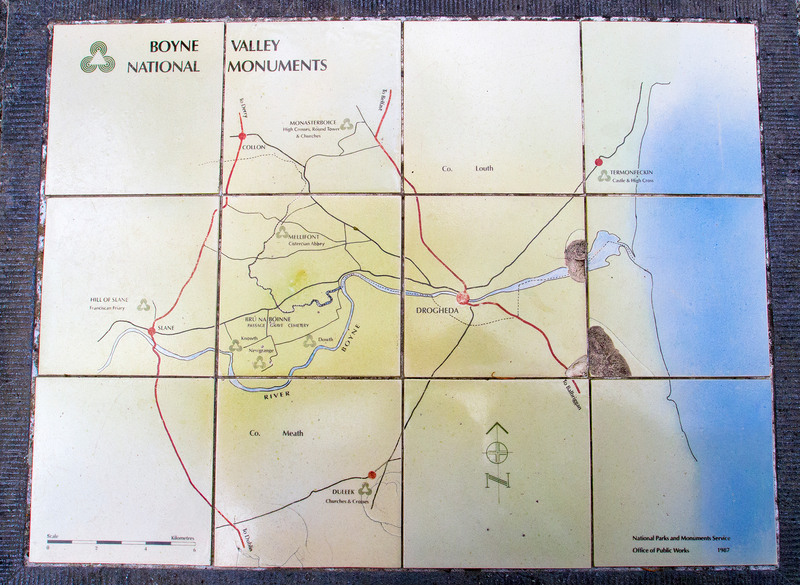 Boyne River’s welcoming embrace stopped Stone Age hunters and gatherers in their tracks, turning them into farmers – and once there was enough food for everyone enough manpower became available to create, build and design. 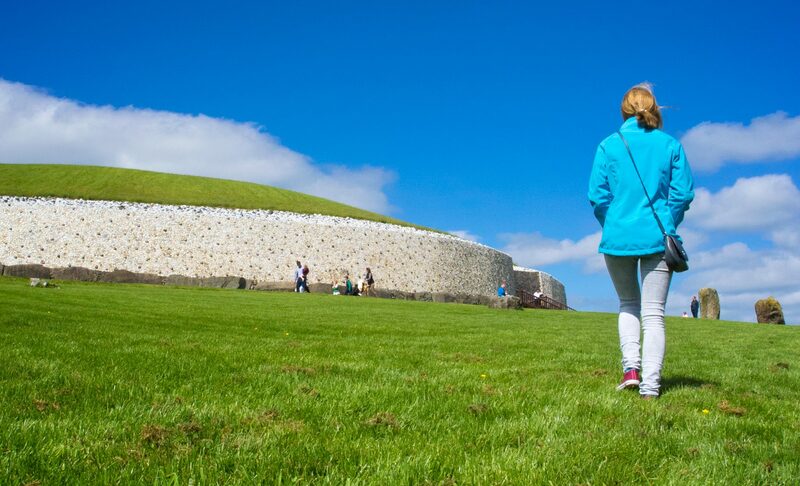 Nowadays Brú na Bóinne complex is a World Heritage Site consisting of over 90 monuments (Newgrange, Knowth and Dowth passage tombs being the most famous). 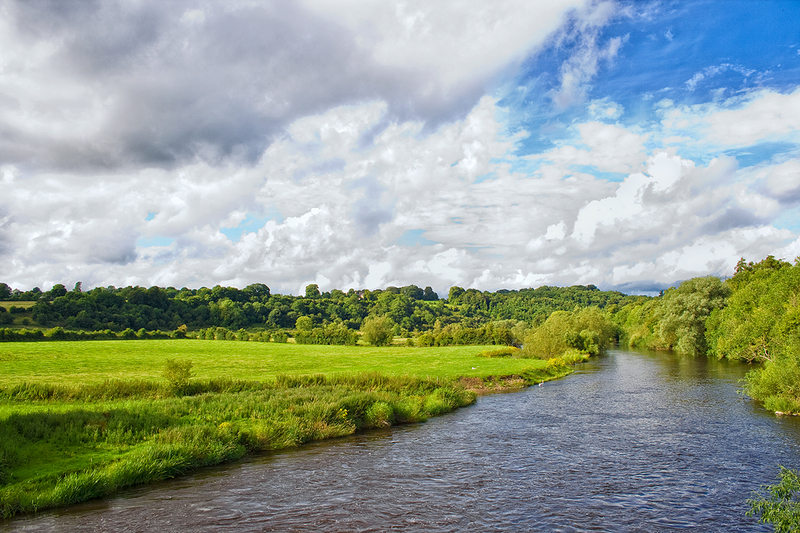 For the past 6 thousand years River Boyne embrace has provided rich soils and protection to the lands within. 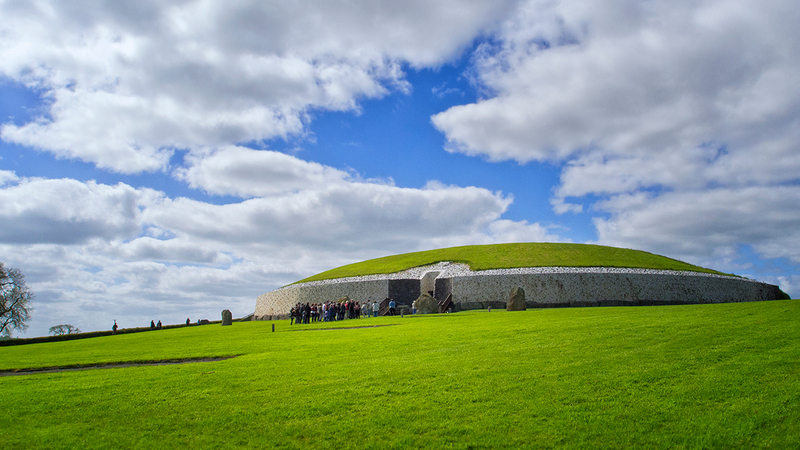 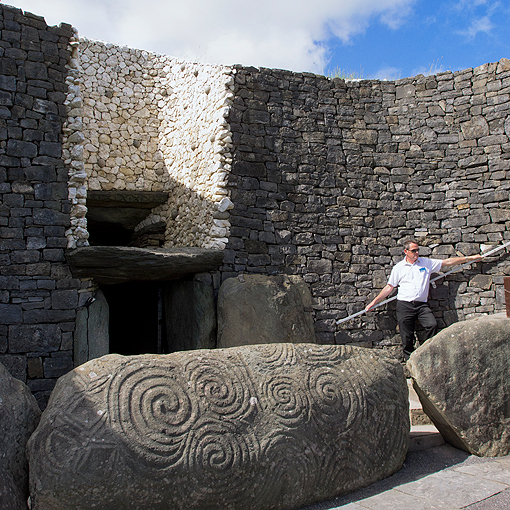 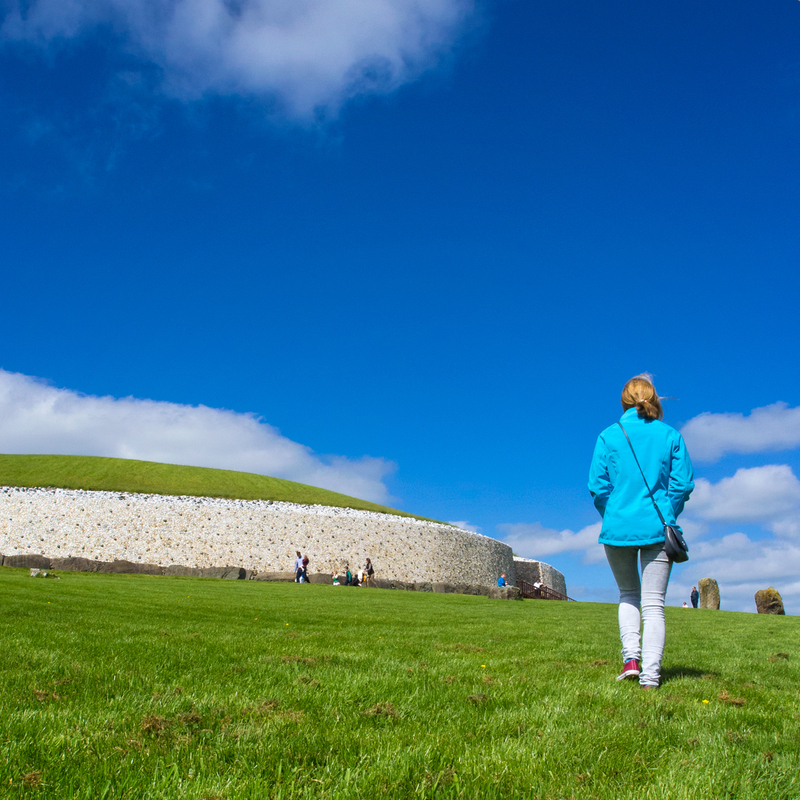 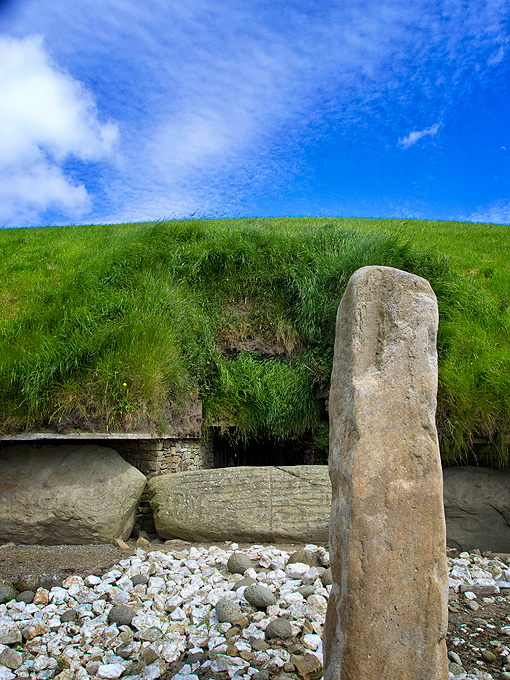 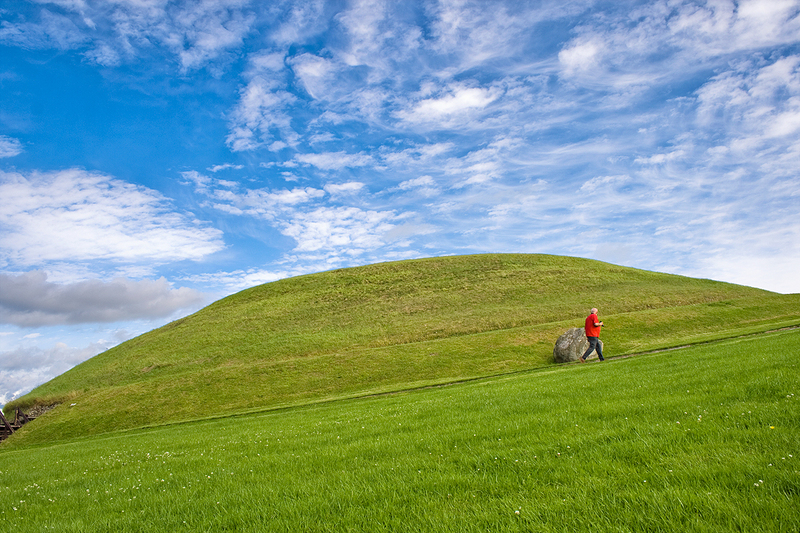 Newgrange and Knowth are only two sites from the massive Boyne Valley cluster of the Megalithic Passage Tombs. The mega-Tombs were (and sometimes still are) surrounded by smaller mounds / cairns, places of worship, decorated stones of various sizes and unknown purposes, and ruins of various settlements from their 5,000-year long history. 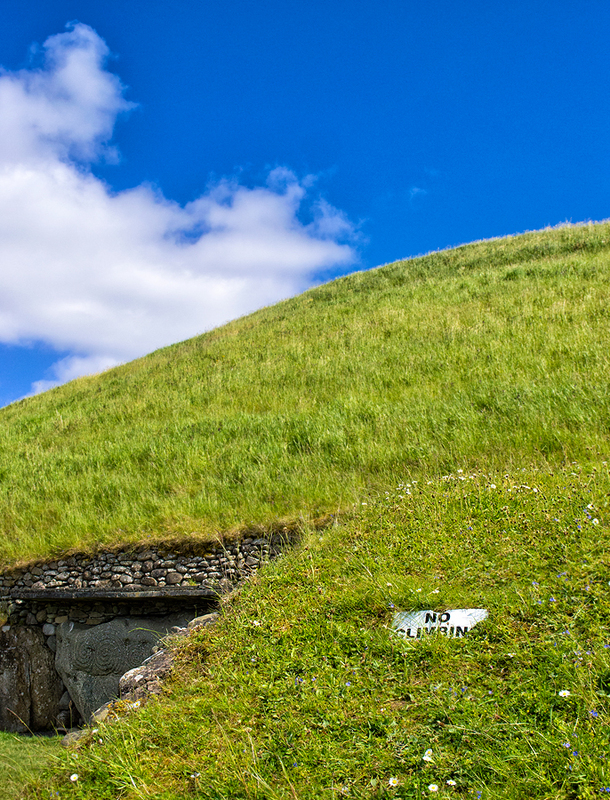 The passage “tombs” were in fact not only tombs (although some human remains have been found there) but most likely centres of spiritual and ceremonial life, temples and astrological observatories. They were very precisely aligned to allow the sun rays through the stone passages during solstice or equinox. 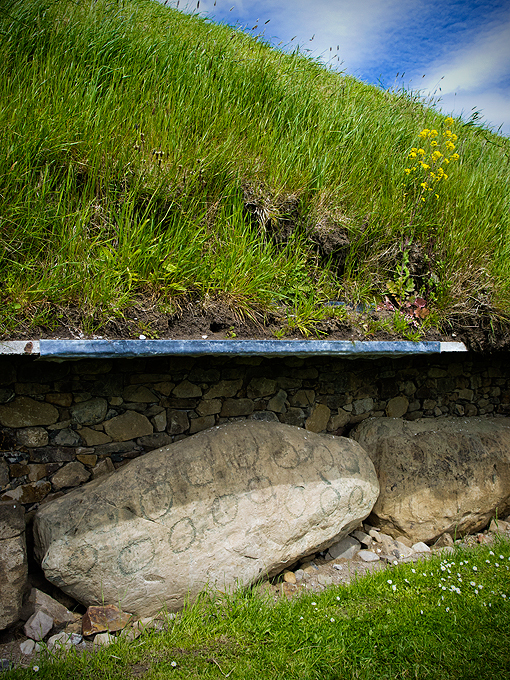 This feature can be still observed in Newgrange but unfortunately not in Knowth as the mound has been badly damaged over the years, covered to a large extend and uncovered again – and it even had a ditch, a village, a fort and a farm built on top throughout its history. 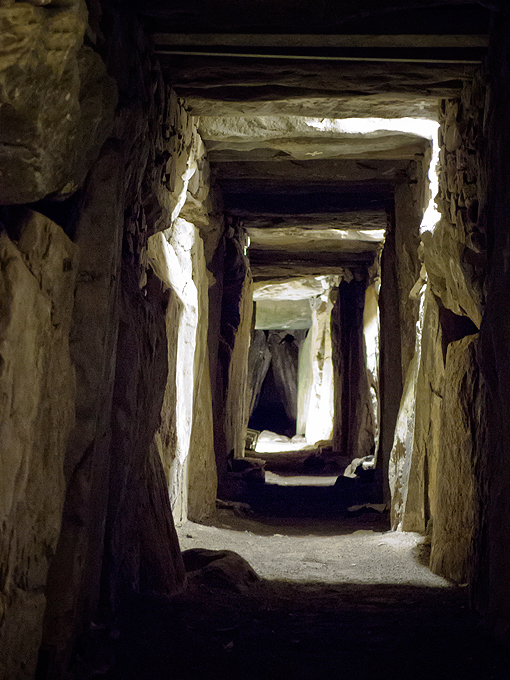 The sites haven’t changed one bit since my previous visit in 2010… After all what’s 5 years in a 5 THOUSAND years lifespan! 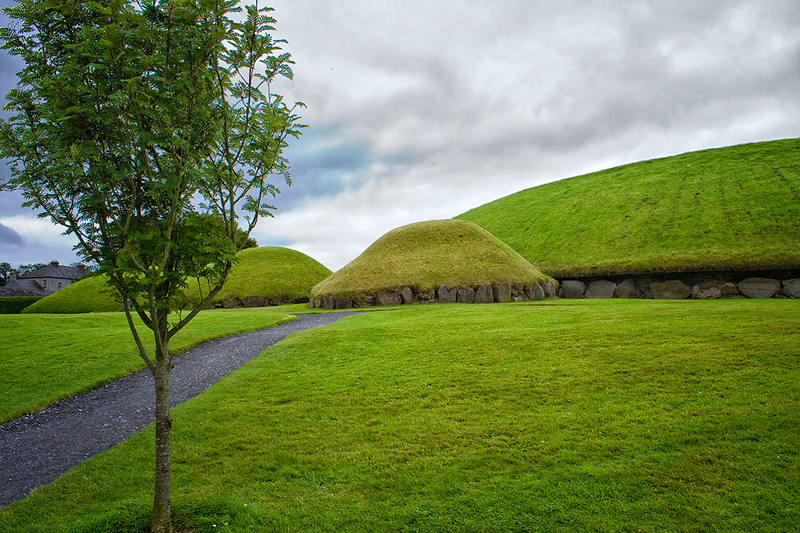 The largest of Boyne Valley mounds Knowth is also unusual in its design: there is not one but two passages inside. 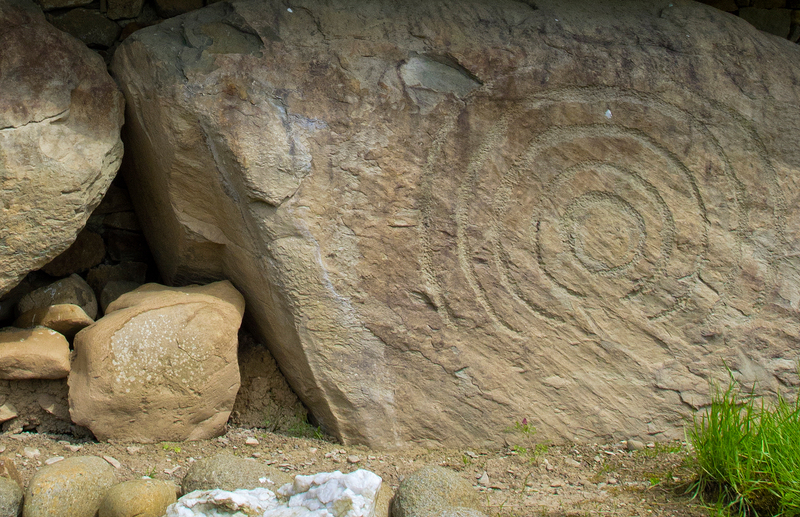 They do not connect and one is directing roughly East while the other faces West (they were most likely aligned for Spring and Autumn equinoxes). Of 127 Knowth kerbstones three are missing but the remaining ones are considered the largest and best preserved collection of Megalithic art in Western Europe. 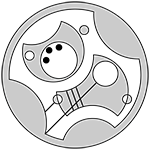 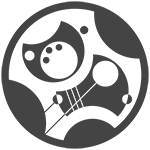 The designs are highly unique and their meaning remains a mystery. 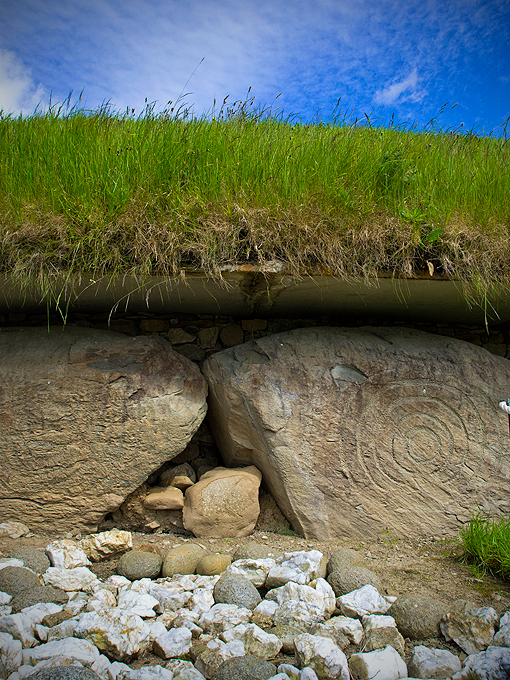 More info on Knowth and its history is available on World Heritage Ireland page. 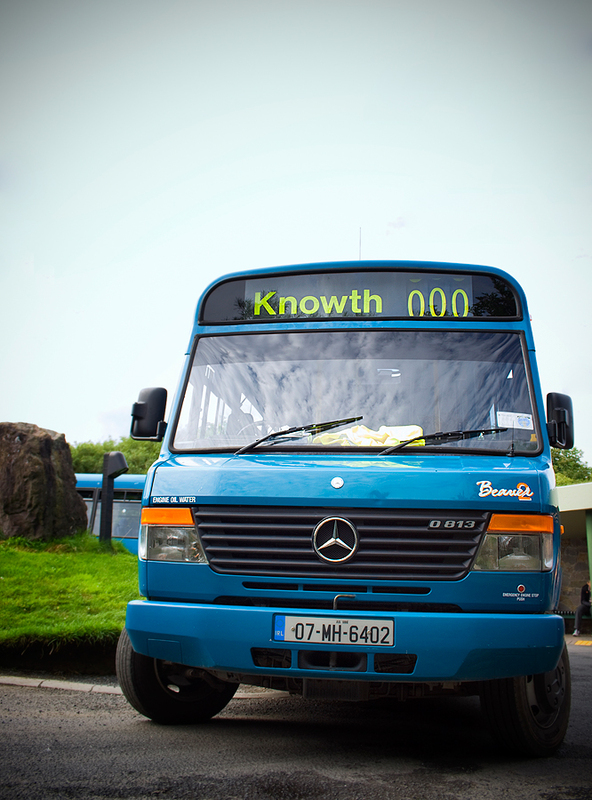 Shuttle buses take visitors to the tombs. 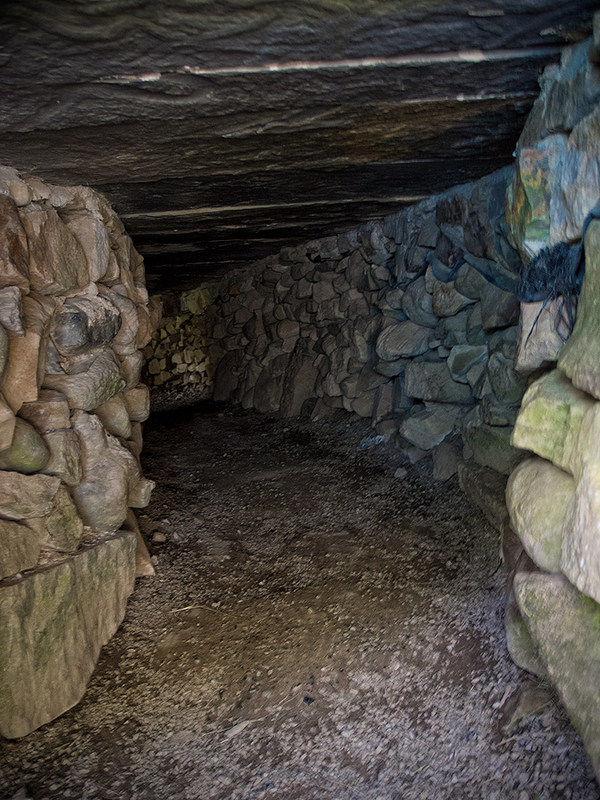 Medieval souterrain (underground tunnel), possibly used as pantry / escape route. 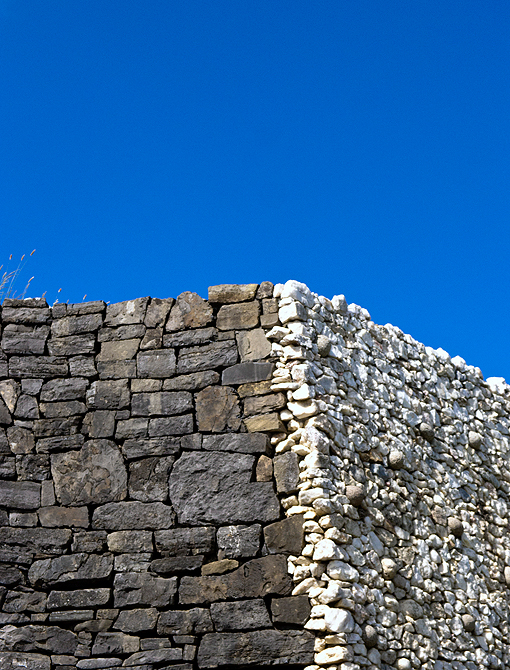 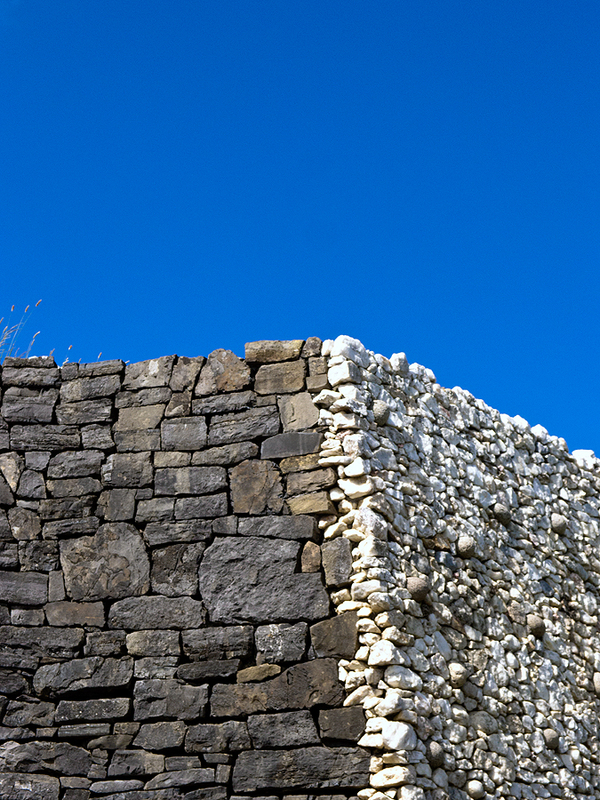 Only stone, bone and wooden tools were used.